Note: This post contains affiliate links which means I may make a small commission if you use those links to make a purchase, at no extra charge to you. I use and love the products recommended. But feel free to reach out if you have any questions. 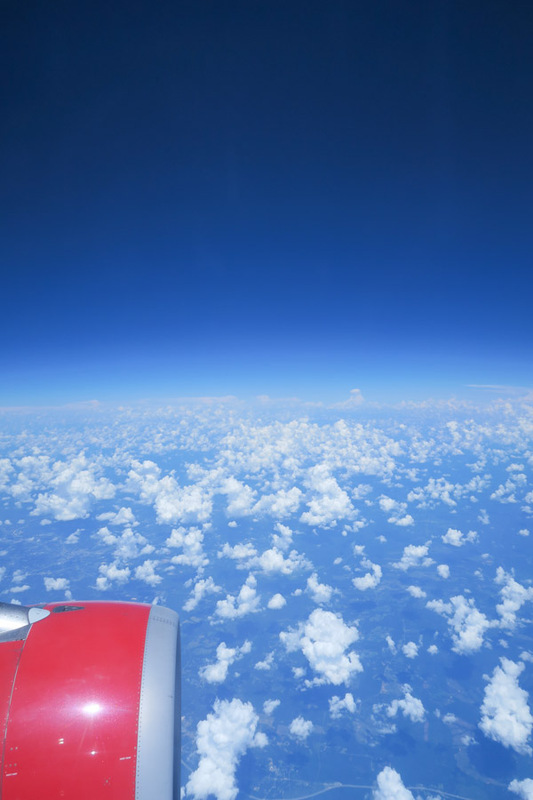 My flight to Orlando was so nice and smooth. 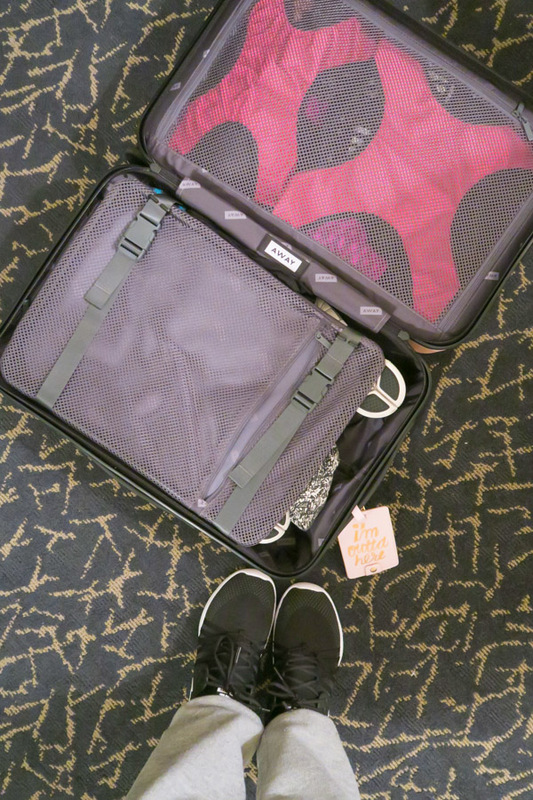 Air travel can be so stressful, so I was super grateful for the trip getting kicked off stress-free. I managed to pack EVERYTHING into basically just this small Away carry-on bag. With space! I left space because I knew I’d be shopping. Want to know how I fit it? I talk about it in the video linked at the top of this post. Or scroll below for the quick info. Annette and I pretty much headed straight for registration. But not without stopping for a quick photo with the infamous fitness concert banner. Tip: Wednesday is a great day for a photo with this because it’s not quite as busy. 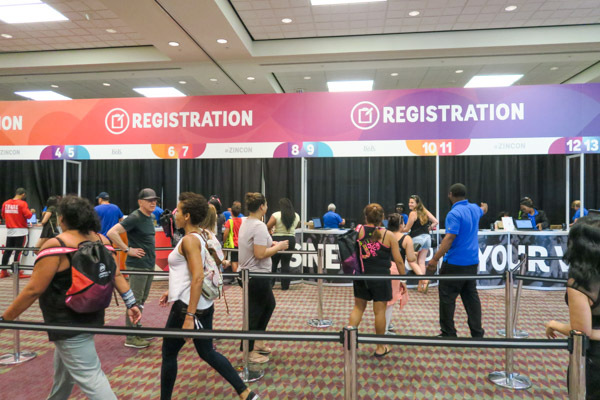 I’m consistently impressed with Zumba Convention’s registration process. The line always moves so quickly. Every single year! Nice job, guys. Annette and I headed to the Hyatt to check out the booths quickly. And I met Tara Romano on the way! Her Zumba choreo videos are my absolute favorite on YouTube, and her Instagram account is so inspirational. Look this girl up and follow now! 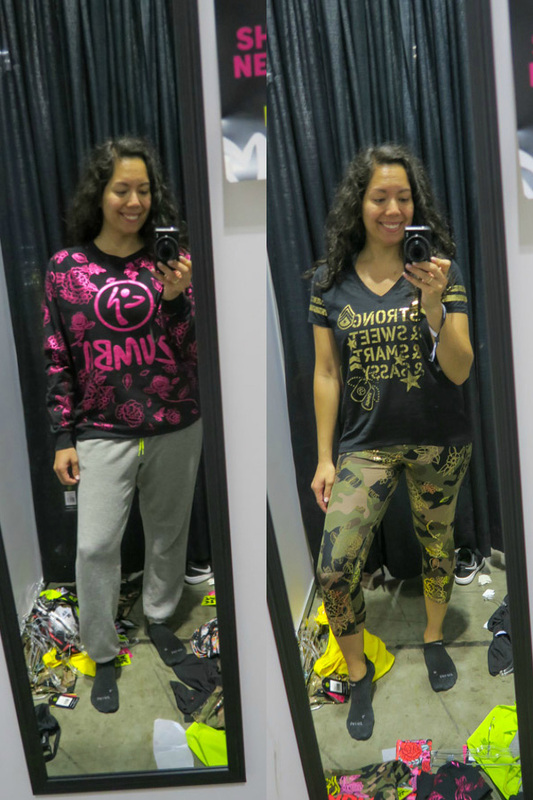 The Zumba Wear Store opened a day early this year. This was great because I usually don’t have time to shop once the sessions start. The place wasn’t too packed, but surprisingly many things were low on size options. Doh! 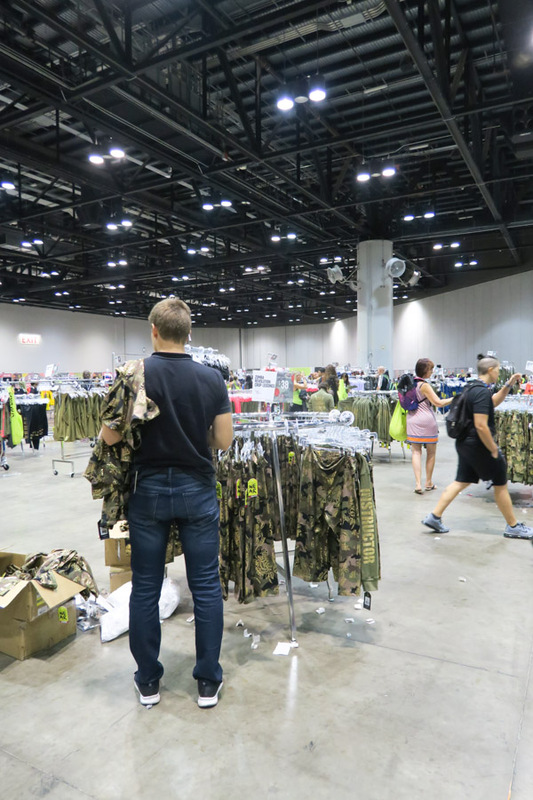 The team had the place super organized and they were constantly restocking. They even told me that some items would be restocked the next day. Do you see the unicorn in this pattern? 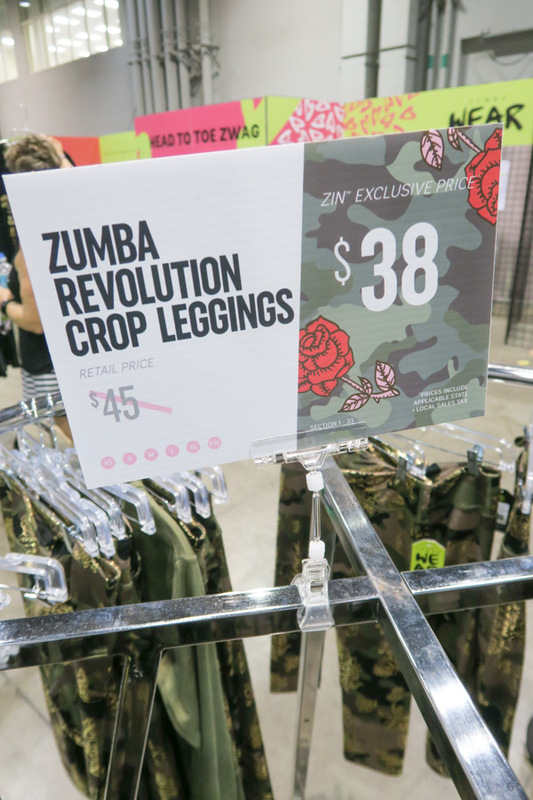 Now that I’m back from ZinCon, I’ve looked at the prices at Zumba.com. Surprisingly, they are more expensive at convention. What’s up with that? 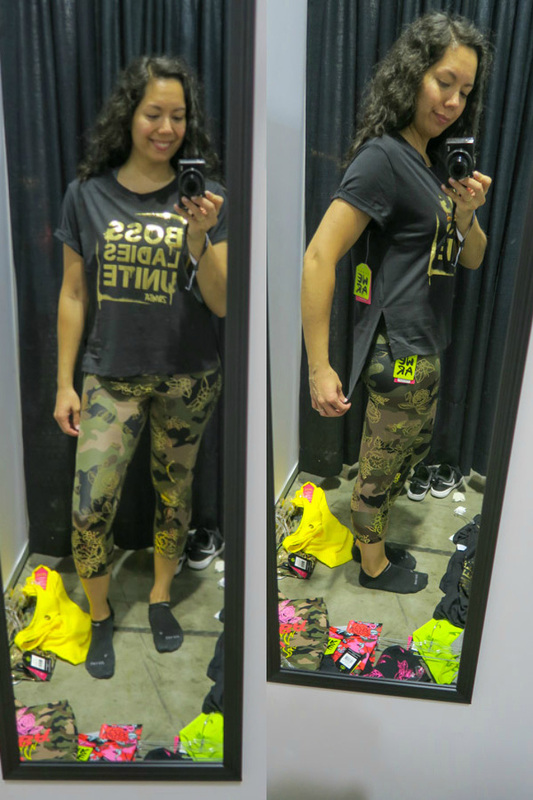 Btw, in my humble opinion, these gold and camo leggings were the IT pant of convention. And yes, I did get a pair. This convention tank was selling out like crazy! Luckily, I checked the return rack area and found one! And I met vlog watcher Alexis at the store! She was the very first TCL blog reader / vlog watcher to introduce herself this year. Woop! You guys can get a discount with my affiliate code (CHICLIFE) at zumba.com. If you use this code, I’ll make a small commission at no extra charge to you. Win-win! 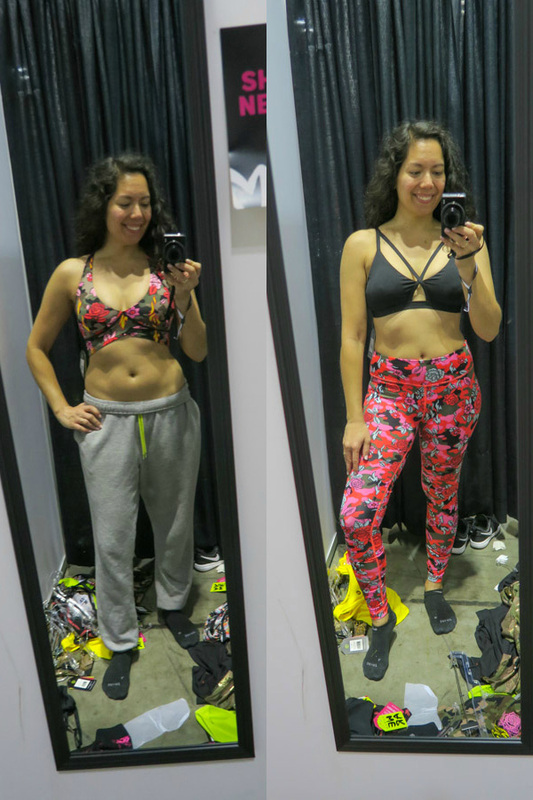 Okay, so I just did that Nordstrom try-on video, which seemed to be pretty helpful. 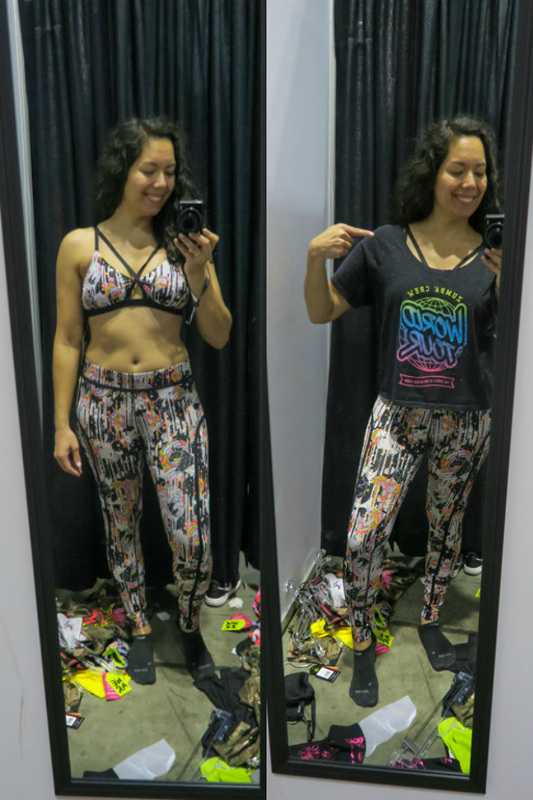 So I thought I’d re-create the concept for the Zumba wear stuff I tried on. Def check out the video because some things look pretty different in video format. 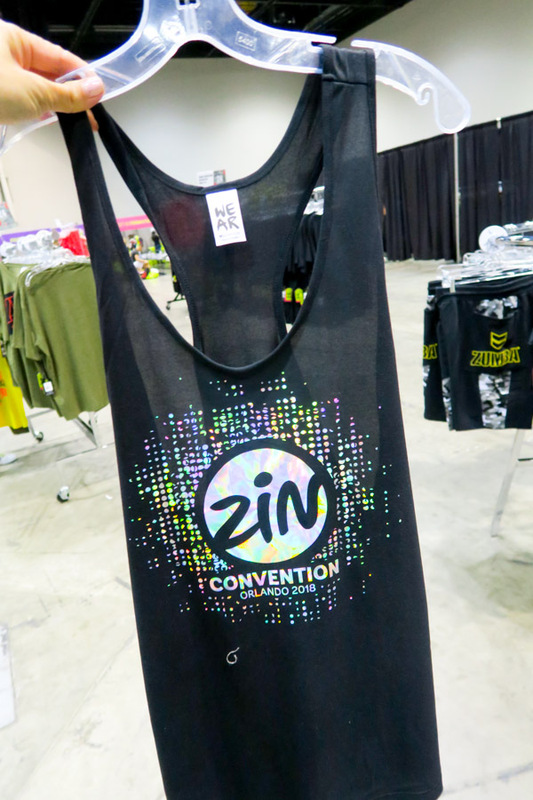 And some items are ZIN (Zumba instructor) exclusives. 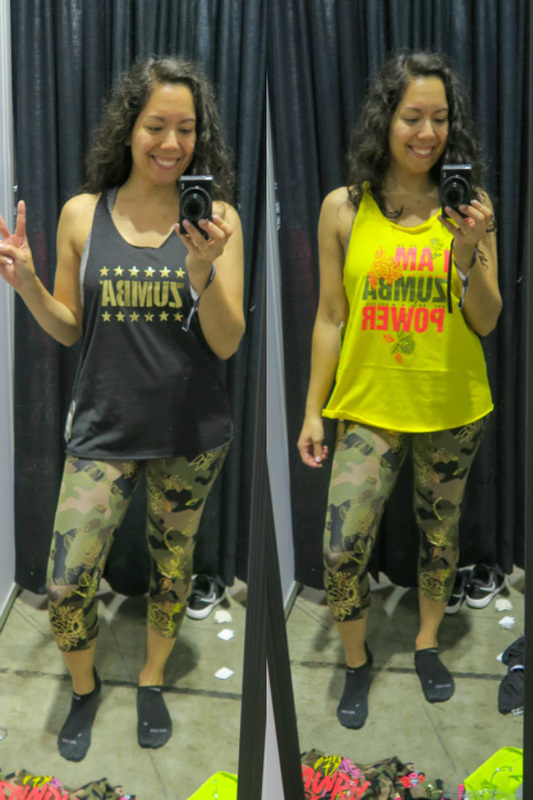 So if you’re a Zumba fan, you may not be able to get something that says “instructor” on it. Note: I tried everything on in S unless otherwise noted. I’m 5’4″ for scale. Camo pants and black tank were in M. I should have gone S in the pant, but I think they were sold out. I got them any way, and they stayed up on me when I wore them to a session later in ZinCon. Same deal with the tank. Loved the pairing on the left. The yellow top was pretty baggy, and I didn’t like the color on me. I also liked the black fabric more than the yellow, because it was softer and easier to tie in a side knot. Possibly my favorite tank of the collection because of the message – Can’t Hold Me Down. Love that! Got the pink for a nice pop of color. And you guys know I love pink! Love the unity message of this top, and the high-low is great for booty coverage. The material on this was also super soft. The bra on the left was my absolute favorite find from the collection. I just love the way the front crosses a little higher for a pretty look. 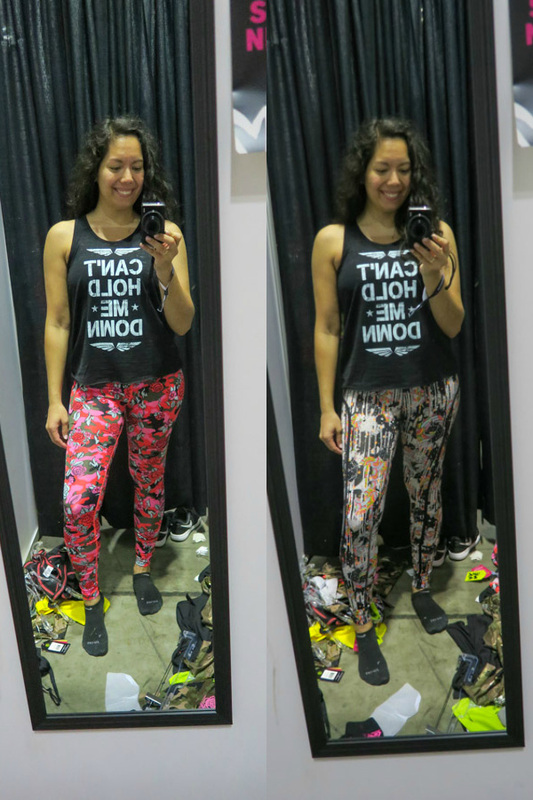 I ended up finding the same top in the other color way (which matches the pink pants to the right). Got the strappy black sports bra as well because I like how the strappy part can just peek out. It even peeks out under some tees, depending on the neckline. But I think it gives a fun look. Thought the patterned version looked weird on me though, so I stuck with black. The sweatshirt was super baggy (this is a M), and the material wasn’t that soft, so I skipped this. 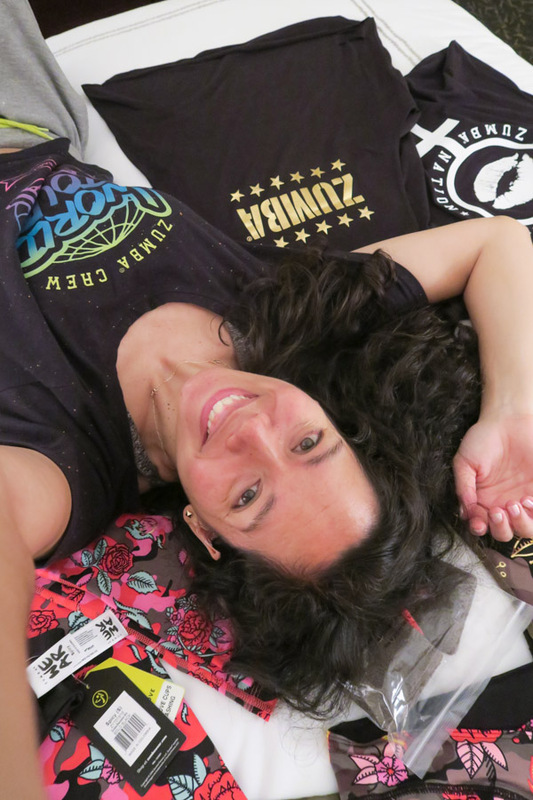 The tee was super cute, but it wasn’t very stretchy, and I liked the boss ladies one more. 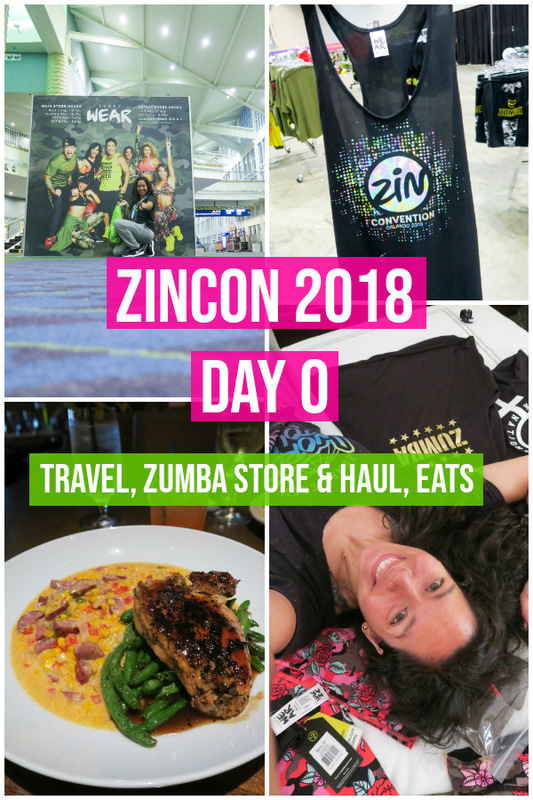 Don’t forget to check out the video for my packing tips on how I fit all my Zumba Convention gear into just a carry on. It happens after the shopping section in the video. 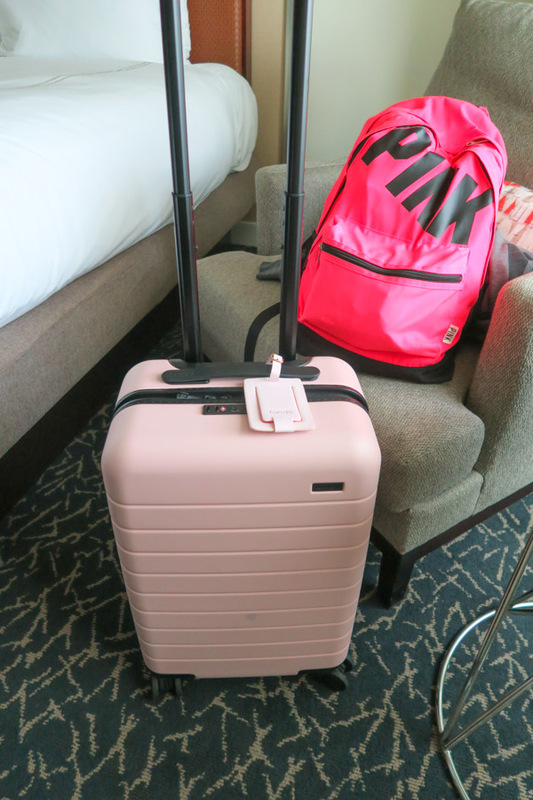 The carry-on luggage is by Away and the packing cubes are available on Amazon. 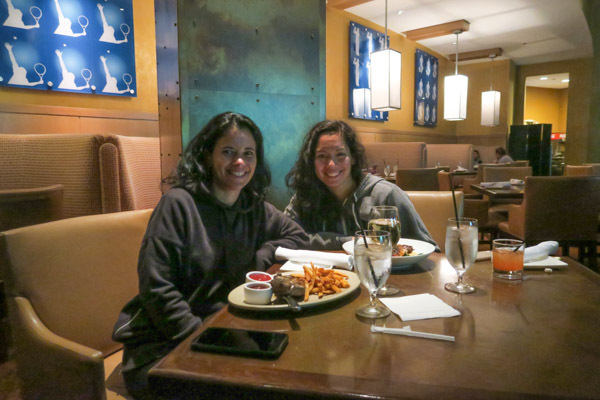 Annette and I headed to our go-to, David’s, for dinner. 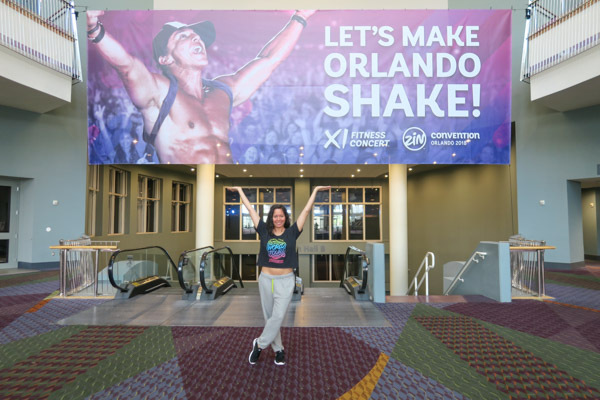 Btw, Annette was my roomie for Zumba Convention back in 2016, and she’s also the leading lady behind Mitchell Wayne Productions where I do all my Britney dance classes in NYC. If you’re ever in the area, go see her and Mitchell! 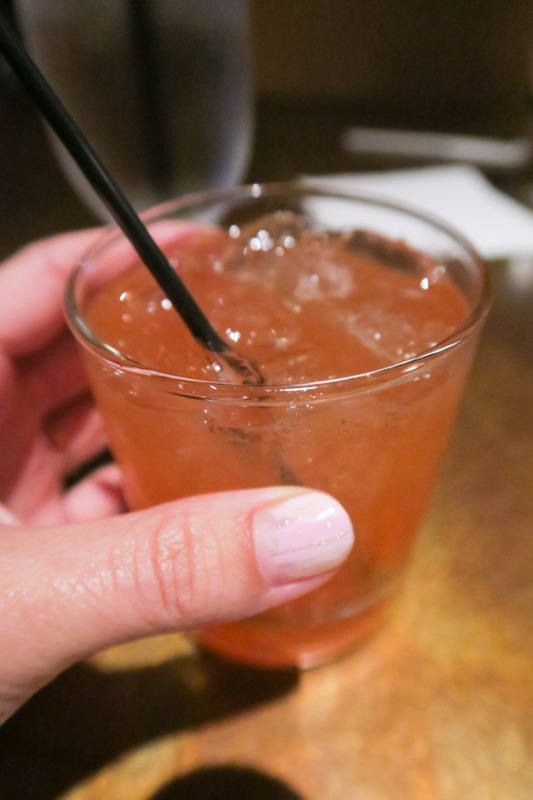 I started with this strawberry-guava daiquiri. It was very good! 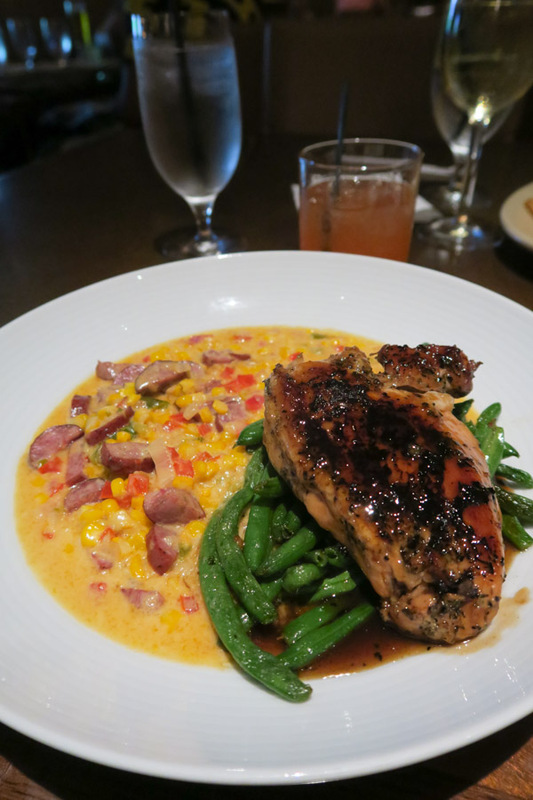 And for dinner I chose this Southern-inspired chicken with sweet tea glaze. This came with a nice portion of green beans. And I enjoyed the corn medley. This was delicious, but overall the dish was a bit heavy for me. Maybe the corn had a lot of cream in it? And I haven’t been eating much dairy these days. It was good for one time, but I knew I couldn’t eat it every night of convention. 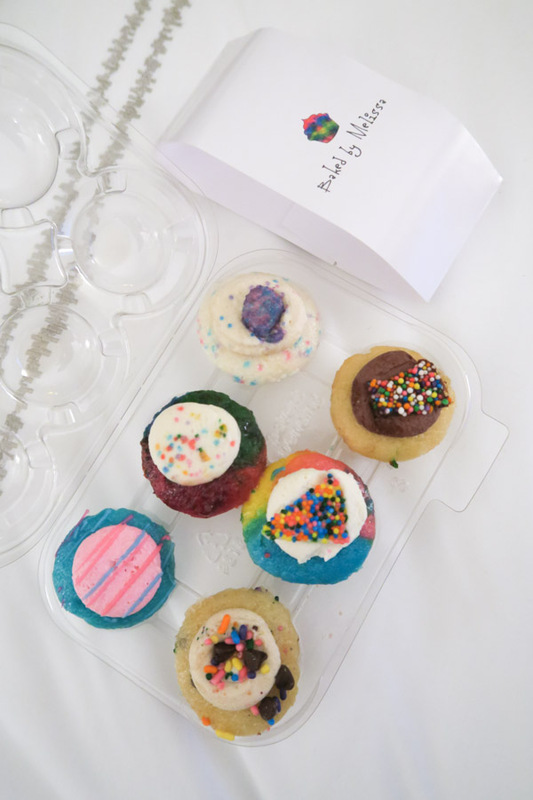 And since it was Annette’s “birthday”, she brought us cupcakes all the way from NYC!! Thanks, Annette! They were delicious! Happy birthday! 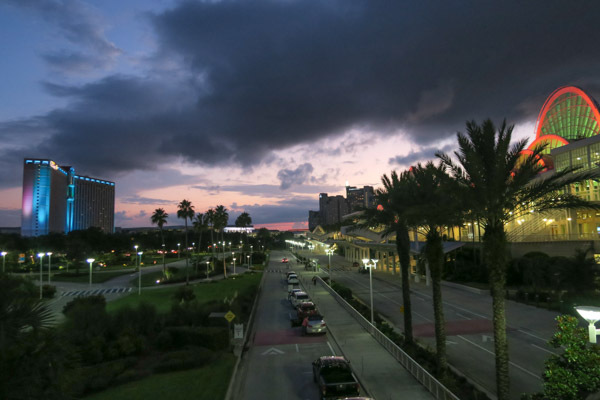 Hope you liked this post and vlog. Thank you so much for reading and watching! If you enjoyed this, I made a shareable graphic below in case you want to share this with your friends and family!